Just upgraded to Windows 10 Creator update. Now intermittently after boot up, Trend Micro fails to start. Tried the Diagnostic Toolkit, "Stop all components", wait a while then "Start all components". Sometimes this manual start works but most of the times , it doesn't work no matter how many times I attempted. I've already uninstalled and reinstalled to the latest available version. Hi inspired_sg and welcome to Trend Micro Community! I understand that you have just upgraded your computer into Windows 10 Creator update and after boot up your Trend Micro program fails to start again. Let me help you with this. I really do apologize for this inconvenience. As of now, Windows 10 creator update is not yet fully supported by the latest version of the Trend Micro program since this Operating System is still new but no worries since our team is already working on this so that it will be fully supported. I have the latest Windows 10 version and the latest Trend Micro version, 11.1.1045 released yesterday, and have no issues. Please feel free to post if you have any concern regarding your Trend Micro program. any indication of the timeline to get the TM software ready for Creator Update? Hello inspired_sg! Thanks for commenting that inquiry. Unfortunately, our development team is still developing a compatible version for the Creator's Update. They are by the way, working 24x7 to cater clients who are using that version of the Operating System. Furthermore, we are doing our best to release it as soon as we can but for now, we do not wish to provide any false information about the estimated time frame. Witch TM version do you have? (Check version number by right click TM icon in system tray and choose "Check for Program updates"). I have Creators Update and run the latest TM version 11.1.1045, that was released two days ago, just fine. I have Problems with Trend Micro Internet Security 2017 after updating with Windows Pro, 64bit, Creators Update. After installing the creators update, my Laptop ran into a bluescreen with error code "UNEXPECTED KERNEL MODE TRAP". It also Ends in a boot Loop. I was able to start Windows 10 in SafeMode and to uninstall Trend Micro. So I was able to start Windows again. Hi andreas.linke and welcome to Trend Micro Community! 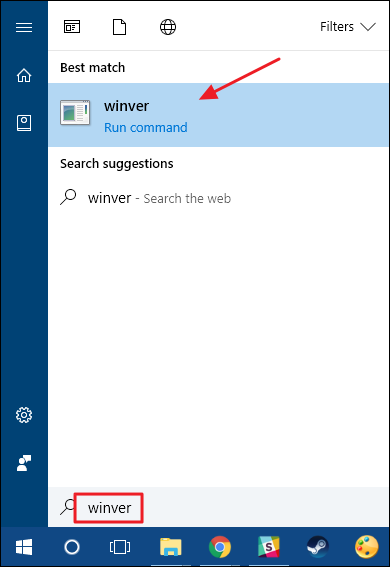 To do that, (1) type in winver into the Cortana search box and (2) select the first surfaced result. The version should be 1703. Once you've confirmed the Windows version, please download the latest Trend Micro program version from our download center and install it on your computer. Apologies for all the troubles you had from this issue. We understand your concern about the continuous prompt you're getting to update your Trend Micro even though when you check your software information, it appears that you have the latest update. Upon checking your subscription, it appears that all your 5 machines using your subscription does not have the latest version of the Trend Micro Antivirus+ Security installed. We recently rolled out an update notice for all Trend Micro users which are still using the version 11.0 and below to upgrade their software to the latest version. Please know that we have already released the Trend Micro Security 2018 version 12 recently and with this, we proactively sent recommendations to our customers to update their program to take privilege of the new and improved features of the latest version. Thank you so much for the patience and please let us know how this goes. As you can see, I have already installed Build 1703. Is there a chance to get a german Version? Although it may be a multilanguage Version, I was only able to choose between english or spanish. Hi @andreas.linke and thank you for your response. If you have further questions, please let us know so that we can assist youfurther. Sorry, I'm back again...my Laptop crashed again with the UNEXPECTED KERNEL MODE TRAP. Seems that the new update of the Software did not really fix the Problem. Now I deinstalled Trend Micro again from my Laptop and sorry...I am really angry about that fact. We understand your frustrations about this and we really do sorry for the inconvenience this has caused you. We are already aware of the issue and rest assured that we have dedicated team working on it. I had the same issue and I've spent hours trying to track this down to find out it was TM. Can you send a notification out when you absolutely KNOW you have solved the Kernel trap issue? A report about this error has been sent to the webmaster. The page may have been moved or removed. If you got here by typing an address into your browser's address window, please check your spelling." Why is it so difficult to provide good advice. I have been a loyal client of Trend Micro and just updated my subscription to 2018, but I get message that TM 2009 prevents me from updating to Windows 10 Version 1709! Not strange after 8 months! I'm running version 11.1.1045. Its an intermittent problem. Since our developers are still working on it, rest assured that we will keep you posted once the update is available. Also, you have mentioned that you are experiencing intermittent problem. For us to further investigate, may we know the exact details of the issue? when trend micro maximum security fails to start after windows login, I found that the "Trend Micro Solution Platform" service, Amsp, fails to start. Manually starting it doesn't help either. Main console also cannot be opened. Sometimes manually starting it via the Diagnostic Toolkit works, but rarely. When manually starting it, I observed that the TM icon in the system tray at the bottom right corner will flash a few times before it disappears, indicating failure to start. The only way is to reboot the machine and it might work. It seems that the longer I waited at the login screen before entering my account password, the higher chance of getting TM to run. Sorry that I'm pretty caught up with work at the moment and hasn't been able to really test out if I can get TM to consistently run after booting the machine up and waiting for a predetermine timeout period before I login. @TM_Dianne: My Windows 10 is Creators Update 1703 (OS Build 15063.250). My Trend Micro is Trend Micro Maximum Security is 2017 (11.1.1045). Is this version of Trend Micro compatible with Windows 10 Creators Update? Ideally the Trend Micro program should not have any problems with the Windows 10 Creators Update. However, some computer system is experiencing some issues after updating to the Creators update. This issue is still being investigated and our dedicated team is already in works to provide a fix regarding it. We do apologize for this inconvenience that you are experiencing and we will be providing an update at once. @TM_Victor: It's just that I am not facing any issues or problems with my DELL laptop with the Creators Update installed, because my laptop it's just couple of weeks old (new) :-). It must be some old or some new computer that is facing this issue. Anyways, looking forward to the news of when TMMS 2017 will be compatible with the Creators Update. Feedback for Trend Micro Team: Trend Micro should have released a beta version of TM 2017 so users can test it when Creators Update was on beta stages. So in that way, Trend Micro will be able to release a compatible version of Trend Micro 2017 just in time for the release of Creators Update. Thank you for the feedback. We really appreciate it. As mentioned by Victor last time, this issue is still being investigated and our dedicated team is already in works to provide a fix. Just to assure you, we continuously test our program to provide quick fixes as soon as possible. Let us know if you have further inquiries. TM_Dianne: Is the hotfix for everyone or for those users who are ONLY experiencing BSOD on Windows 10 Creators Update? Does the hotfix support also german as language? Even if your Trend Micro program's product language is German, you can still use the hotfix provided on the link above as long as you're getting BSOD when installing Trend Micro Security 2017 after upgrading to Windows 10 Creators Update (RS2). Please give me a link to the german (or multilanguage) Installation file of TM Internet Security. During the installation, you should be able to select all other languages beside English or Spanish in the License Agreement part.